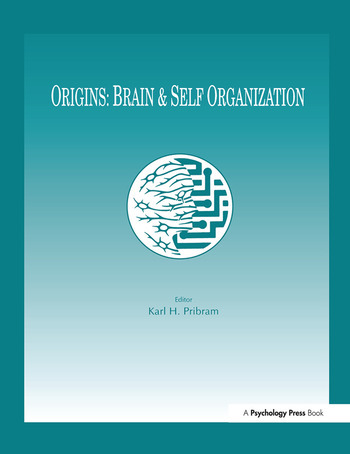 The result of the second Appalachian conference on neurodynamics, this volume focuses on the problem of "order," its origins, evolution, and future. Central to this concern lies our understanding of time. Both classical and quantum physics have developed their conceptions within a framework of time symmetry. * deals with the control operations which operate on image processing to construct entities such as visual and auditory objects such as phonemes. The aim of the conference was to bring together professionals to exchange ideas -- some were fairly worked out; others were in their infancy. As a result, one of the most valuable aspects of the conference is that it fostered lasting interactive relationships among these leading researchers. Contents: K.H. Pribram, Foreword. Part I:Issues. L. Prigogine, Mind and Matter: Beyond the Cartesian Dualism. P.J. Werbos, Self-Organization: Reexamining the Basics. R. Shaw, E. Kadar, J. Kinsella-Shaw, Modelling Systems With Intentional Dynamics: A Lesson From Quantum Mechanics. J. Gyr, Psychophysics: The Self-Referent Holonomic Observer-Observed Relation. B. MacLennan, Continuous Computation and the Emergence of the Discrete. S. Hagan, M. Jibu, K. Yasue, Consciousness and Anesthesia: An Hypothesis Involving Biophoton Emission in the Microtubular Cytoskeleton of the Brain. D. Stassinopoulos, P. Bak, Self-Organization and Pavlov's Dogs: A Simple Model of the Brain. C. Game, Non-Equilibrium Thermodynamics and the Brain. Part II:Spike Trains and Networks. P. Cariani, As If Time Really Mattered: Temporal Strategies for Neural Coding of Sensory Information. M. Xie, K. Pribram, J. King, Are Neural Spike Trains Deterministically Chaotic or Stochastic Processes? P. Lansky, J-P. Rospars, Stochastic Model of Intensity Coding in Olfactory Neurons. M. Levine, Signal and Variability in Spike Trains. J. Segundo, J-F. Vibert, K. Pakdaman, M. Stiber, O.D. Martinez, Noise and the Neurosciences: A Long History, A Recent Revival and Some Theory. R. Bulsara, Towards Simplicity: Noise and Cooperation in the "Perfect Integrator." A.R. Bulsara, S.B. Lowen, C.D. Rees, Cooperative Behavior in the Periodically Modulated Wiener Process. A. Longtin, A. Bulsara, D. Pierson, F. Moss, Bistability and the Dynamics of Periodically Forced Sensory Neurons. N.H. Farhat, M. Eldefrawy, S-Y. Lin, A Bifurcation Model of Neuronal of Spike Train Patterns: A Nonlinear Dynamic Systems Approach. H. Szu, J. Garcia, L. Zadeh, C.C. Hsu, J. DeWitte, Jr., G. Moon, D. Gobovic, M. Zaghloul, Neural Network Models for Chaotic-Fuzzy Information Processing. Part III:Image Processing. E.M. Sokolov, Vector Coding in Neuronal Nets: Color Vision. V. Glezer, The Perception of Visual Form. S. Neuenschwander, F. Varela, Visually-triggered Neuronal Oscillations in the Pigeon: An Autocorrelation Study of Tectal Activity. S. Bressler, Dynamic Self-Organization in the Brain as Observed by Transient Cortical Coherence. H. Erwin, The Application of Katchalsky Network Models to Radar Pattern Classification. J. King, M. Xie, B. Zheng, K. Pribram, Spectral Density Maps of Receptive Fields in the Rat's Somatosensory Cortex. Part IV:The Brain as Controller. V. Glezer, Perception. Double Dichotomy of Visual Brain. M. Goodale, Visual Pathways Supporting Perception and Action in the Primate Cerebral Cortex. C. Fowler, Auditory "Objects:" The Role of Motor Activity in Auditory Perception and Speech Perception. M. Clynes, Entities and Brain Organization: Logogenesis of Meaningful Time-Forms. R.B. Bolster, Role of the Frontal and Temporal Lobes in Scanning Visual Features. H. Crawford, Brain Systems Involved in Attention and Disattention (Hypnotic Analgesia) to Pain. P. Werbos, The Brain as a Neurocontroller: New Hypotheses and New Experimental Possibilities. K.H. Pribram, Afterword.